HotS dev on Kerrigan rework: "I think people who really want to master Kerrigan can show off what they want to do with her now." 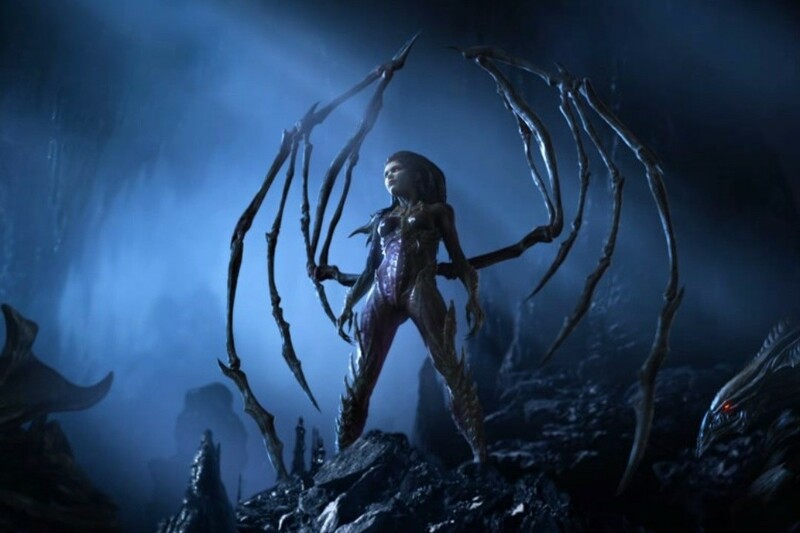 ▲The Queen of Blades, Kerrigan, is getting reworked to spice up her kit. One of the original heroes in the game was recently hit with a rework by the Heroes of the Storm development team. Kerrigan, who is famous for her aggressive, combo-oriented gameplay has been tweaked over the years but it was not until now that her kit has been ripped apart to update out-dated abilities and freshen things up. InvenGlobal got the ability to sit down and speak with Lead Live Designer, Brett Crawford and Senior Live Game Designer, Alex Neyman recently about her new kit, what lead to this decision and what players can look forward to experiencing when they get their hands on her. When do you know that a hero is going to be reworked and where is the threshold that you as a team know that we have untouched them for too long. Is there a point for a gauge that you guys use? Neyman: It will vary by Hero, obviously, but, overall, I think that we look at a lot of different factors when we are determining when or who we want to rework. It is usually if they are not seeing much participation in the game anymore. If they have kind of been overshadowed by various other Heroes or they don't have a place, if their play style is sort-of out-dated, that's one of the big factors. So play-rate, win-rate those types of things. We also make sure their play style is healthy. That it is fun, varied, unique and that it isn't a one-dimensional character. Often times when we go into reworks with we want to make sure we go back to a character and we can give players lots of different ways to play that character, lots of interesting fun ways to play that. So I think that's the biggest is two. Simply it is also just time. As the design team has grown in Heroes of the Storm and as the game has been expanding we have kind of changed or "leveled up," if you will, in how we are learning what the best way to design talents in Heroes. So, we look at the older guys that we didn't have that same knowledge for and apply it to the newer characters. So if the hero is not been touched in years, we think, "Okay, well maybe we can make some improvements here." Speaking of those improvements in those lessons, I noticed when looking at Kerrigan that "Envenom" and "Essence for Essence" are removed and she was kind of the last heroes that still had that combo from the oldest era of Heroes of the Storm. 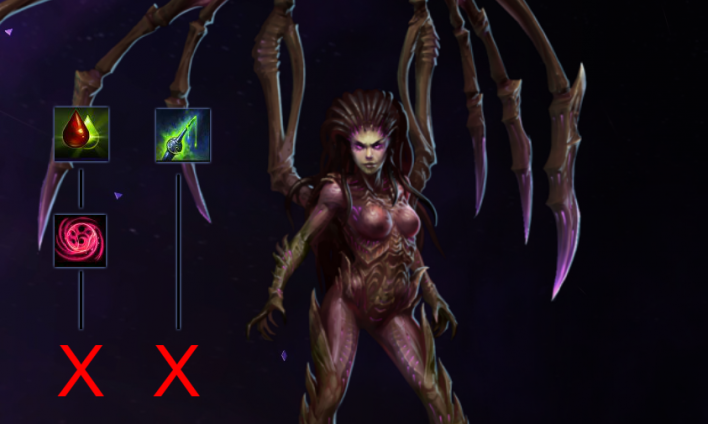 Can you talk me through the final decision to get rid of any "Blood for Blood" or "Envenom" talents, even in the hero like Kerrigan, that was, at one point, defined by both of those talents? Neyman: When we were first putting the talent system into Heroes of the Storm, back in the first BlizzCon when it was playable, we really settled on the talent system kind of late in the the game developing process and we decided, "Wow, we need to make a lot of talents for a lot of these hero kits that were already fully-fleshed out." So we created a lot of "generic talents" that would be applicable to multiple Heroes and they worked great at the time but as we continue to develop more and more heroes we found that we would have, not only greater control over the balance of the hero, but also we could create more interesting, very unique and kind of fun interactive things that inherently kind of felt like you were playing Kerrigan as opposed to just having a "poison dot." It wasn't particularly thematic for the character. Over time, as we've gone into reworks if we think it makes sense we don't have to always remove (an older talent) if it's working well. We still have Block on a number of characters and that's fine because we think it serves its purpose. For Kerrigan be basically thought we had better replacements or more interesting replacements to really reinforce the play style of the character to begin with. We thought we could create more interesting talents so we don't have anything inherently against these talents in particular but we always thought we have better ideas as we've gone through reworks through the years. ▲ Kerrigan loses some of her more out-dated talents to bring her kit into 2018. Speaking of more interesting versions it seems that "Chrysalis" will serve as a more interesting version of first aid or a lore-friendly ability to give her some sustain. Could you talk through who had that idea and how that unique talent came to be? Neyman: We were looking at that tier in-particular as we decided this was going to be a survivability-tier for Kerrigan. Right now on that tier is Ice Block for a lot of characters so we thought that giving Kerrigan some type of Ice Block would fit the way she plays. She dives in, she gets herself in trouble and gets a lot of attention on herself so, if she has a way to sort of prolong the inevitable doom that was coming her way, she could maybe do some cool things. We were thinking about it and we didn't want to just give her Ice Block so we wanted to give her a lore specific version and that's where Chrysalis came from. It's not exactly the same as the lore as she's in this thing for 5 seconds as opposed to three Starcraft 1 missions but, overall, lore kind of pushed this. It pushed this to where it was like, "Okay, she will get in this thing and what's different from a Chrysalis than an Ice Block? 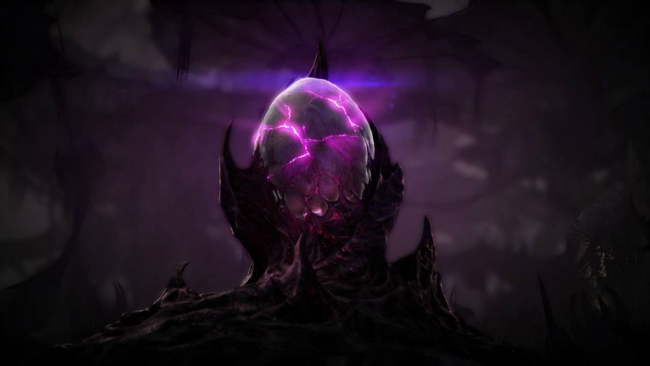 Well, you could attack this thing because it is made of flesh and also Kerrigan is getting reconstituted and is vulnerable while in this so we'll give her some healing while she's in it." We gave it some different vectors to make it feel different than Ice Block as it is a first-aid/Ice Block hybrid between the two. Something that I found interesting regarding her rework is that she is one of the oldest heroes in the game and she has already had a lot of revamped talents. I see that some of those new talents, some of those remodeled talents, so to speak, such as "Queen's Rush" and "Overdrive" have been removed. How is this Kerrigan different from the past patches in which you've added new talents to her? What is your goal with Kerrigan this time? Neyman: Our goal with all reworks is, unless it is an absolute necessity, we don't want to drastically redefine who the character is. So, we want to maintain Kerrigan as this dive-focus character that still has her combo that she is going to commonly use (Q-W-E) to line up people for her Stun and maintain that anyone coming back to Kerrigan isn't going to say, "Wait, this isn't the character I knew from the past," so we want to maintain that and that is the starting block. Then from there we say, "Okay, how can we take that but still make her feel like she has more uses for her abilities, that she is thinking about them in just more ways than, "I'm just Q-W-E and I just get a combo and I just walk around for a while." So we wanted to add more use-cases in particular to both Ravage and Primal Grasp. We gave Ravage two charges but we reduced the range so you're going to think more about, "So, if I want to dive the backline how can I accomplish this? Maybe I can ping-pong off the Tank and go into the back line? Do I maybe juke some abilities by jumping around a little bit?" There is also less opportunity-cost for engaging on a person because, potentially, you can have a second Ravage to then re-maneuver yourself somewhere else. It also gave us more hoops for a lot of talents. As there are now two charges of the ability we could give you lots of ways to get charges because it wasn't a full reset on the old ability. The old ability was half the power of the old ability. For Primal Grasp we wanted to make it was not just a pull but we also wanted you to care about your positioning after you pull people to you. So, two-and-a-half seconds after you pull people you explode so what we are going for there is that: when you pull someone in, you're still thinking about how to use the ability. "Do I want to Ravage more people later? Do I want to Stun people so that they are still stuck to me when I explode with my damage after that." I think that is our big goals. Our talents sort of just tie into that and reinforcing multiple strategic ways to think about your talents. We also wanted to make sure that your talent had more of an impact on the gameplay itself. They don't just give you more stats in a way. What we wanted the player think about is, "Okay, I'm going to think about how to use my Ravage differently because of my level 7 talent choice because maybe I want to jump in the whole enemy team with Boundless Fury or maybe I want to get more pulls with my Primal Grasp with Queen of Blades and those are a lot of ways I'm going to get Ravaged value." So those are kind of the broad strokes the where we're going with Kerrigan, maybe not so broad. Something that fans have been asking for forever is a more explosive and action-packed Ultralisk and a charge skill with a Stun seems to be just that. Can you talk about the story behind the adjustment to Ultralisk and how we got to where we are now? Neyman: So for Ultralisk, I think you hit it on the head. Ultralisk does a good amount of things. If you look at it statistically he wins a decent amount, there's a lot of people who like to use it and there's a lot of people who like the pet aspect and like controlling it and these are all great things but I think that it sort of suffers from that feeling of there not being a huge moment with it. There's no, "Oh, wow! Here comes to the Ultralisk!" We thought, "How can we have this thing have a bigger entrance and sort of feel like I had a heroic ability, this is a big deal. I don't just have a pet but I have this pet that comes in with an impact." Looking at some of the mechanics of these reworked heroes you can begin to see some characteristics of newer heroes being implemented on older Heroes whether it be or resets or cooldown reductions based off of certain abilities. Do you think that this is something that we should look to see going forward in that newer talents and newer abilities might be implemented on older Heroes? Crawford: I think it will be a case-by-case basis. If we look back at Li-Ming, she was our original reset character. She did it in a very flashy way. Because all of her abilities would reset on death, players would be drawn to that playstyle because it allowed big moments to happen and it didn't always happen but they would chase those really big highs. I think that when we started looking at reworks a lot of these are going to come into play to where we want an ability to reset if something really big happens in the game state that a player can feel like, "Wow, I just chained three different Polymorphs for Brightwing." So if you are killing Heroes and by yourself kind of do more with a hero and take over that moment I think players have those highs and it makes our game more exciting and versatile not only to play but to watch. ▲ The original "reset" heroes will still retain their unique lethality despite other heroes gaining similar mechanics. Neyman: I think even just, in general, beyond resets whenever we see mechanics that players love we look for ways to incorporate that. We are never going to replace things that are special on our newer characters with reworks. 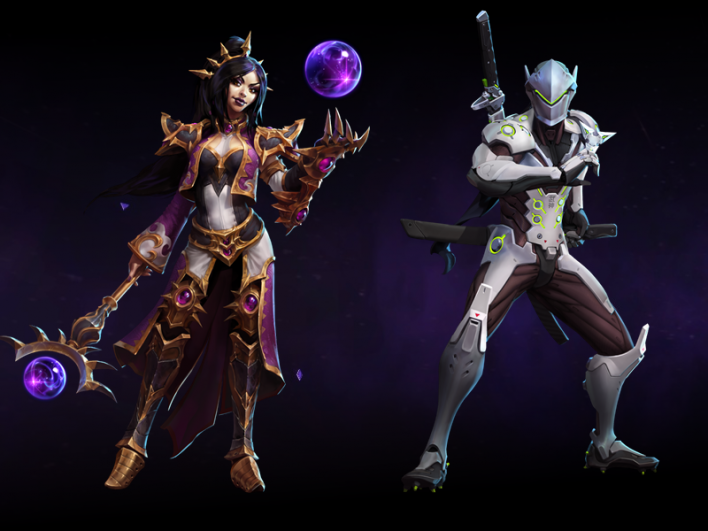 We are never going to be like, "Oh, there's a new reset character that is better than Li- Ming," but if we find cool mechanics that would fit on a rework we will explore that idea to some extent I think. I'm curious if any of the ideas or abilities on Kerrigan that you really wanted to put in but just didn't make the cut. Do you have any stories you could share? Neyman: I don't have a specific talent for Kerrigan but I know that, at one point, if you look at her level 7 talents, all of her level 7 talents are designed to get her Ravage cooldown lowered so we definitely pushed the envelope there for a while. I think I had one talent at one point where whenever Kerrigan got a last-hit on a minion it would give her two charges back instead of one. So, Kerrigan was just ping-ponging around everywhere and she would be like jumping on a hero, jumping on a minion, and jumping back on a hero. If you ever got her on Infernal Shrines on our playtest she would just be killing those little shrine minions and jumping around everywhere. We had to pull back a little bit simply because Kerrigan began to feel like she would be infinitely Ravaging so I guess that would have been one. This final question is going be an opportunity for you directly to speak to a Kerrigan-fanatic. If you were to give one message regarding the reworks for the hero what would that be? Neyman: I hope that every single person who likes Kerrigan now on live will continue to like Kerrigan with the change. We know a lot of people are fans of the concept of Kerrigan, not even just in Heroes of the Storm, but in general. There are very passionate people out there that love her character so I want to make sure those people continue to love her. Hopefully, she still feels like the Queen of Blades that they know and love. There's a lot of people who play Kerrigan, a ton of Kerrigan, almost exclusively her, and I want to allow them an even greater skill cap for this character. I think people who really want to master Kerrigan can show off what they want to do with her now. So this is my way of saying, "Hey, Glaurung (professional player for Tempo Storm), please play Kerrigan." That's what I want to see. He used to play her all-the-time, come play her again.